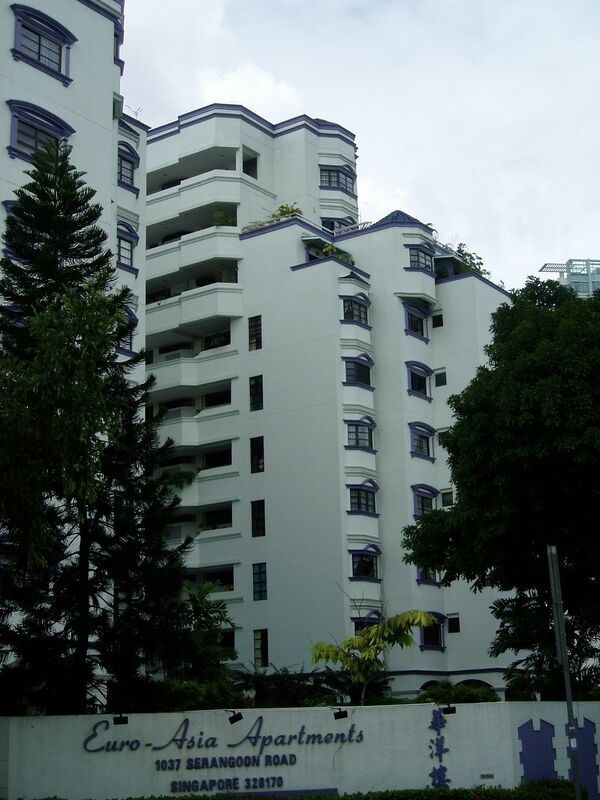 A collective sale tender for Euro- Asia Apartments in Serangoon Road is likely to be launched in April next year. William Gan Realty, the agent marketing the sale, said that so far, about 60 per cent of owners have agreed to proceed with the sale. Signing of the collective sale agreement is in progress, with consent from 80 per cent of the owners required before the sale can be launched. The reserve price for the property, opposite Bendemeer Primary School, is between $140 million and $142 million. The founder of William Gan Realty, Mr William Gan, said that if the tender is launched and the sale price achieved, each owner could get a 28 per cent premium over what they would get if they sold the units on their own in the market. Euro-Asia Apartments comprises 84 units and sits on a 56,476 sq ft site with a plot ratio of 2.8. There can be up to 210 units when it is redeveloped. What is also in the deal's favour is that it is a freehold site and there is no need for the developer to pay a development charge. Mr Gan said the consultants are in talks with three or four developers over the deal. "We think we stand a good chance to find a buyer for the development as the investment quantum is reasonable and it is a freehold site," he said.